Now, may I post a request? In the tile palette can we see each tile index either in a tooltip/helper text oras an overlay over each tile? Looks awesome! Will definitely test this when I have a little time! There is also one non-Tilemap change in the OpenGL backend, because I ran into some problems with my laptop after re-installing it. I have one of those dual-GPU setups, where there is one integrated graphics solution (Intel HD 4600) and one game-ready mobile GPU (NVidia Geforce GTX 760M) which switches on when needed. Before the reinstall everything worked just fine, but after the reinstall both of them had some problems with Duality. Now after some research it seems like they're all driver problems, but frustrating nevertheless. So, let's do the Intel integrated graphics first: Before the update, there was only very crude antialiasing - so far so good. Now, after the update, there suddenly was 8x MSAA that worked about 80% of the time but glitched out heavily in the editor, where there is (which I assume to be related) no constant frame rate and multiple embedded viewports. These artifacts showed mostly in heavy flickering of the Scene Editor grid lines to the point that it was completely unusable. In the end, this was fixed by disabling MSAA in the driver settings altogether. Next, I tried the NVidia GPU: Rendering fast and nice as usual, but suddenly there is severe diagonal tearing. 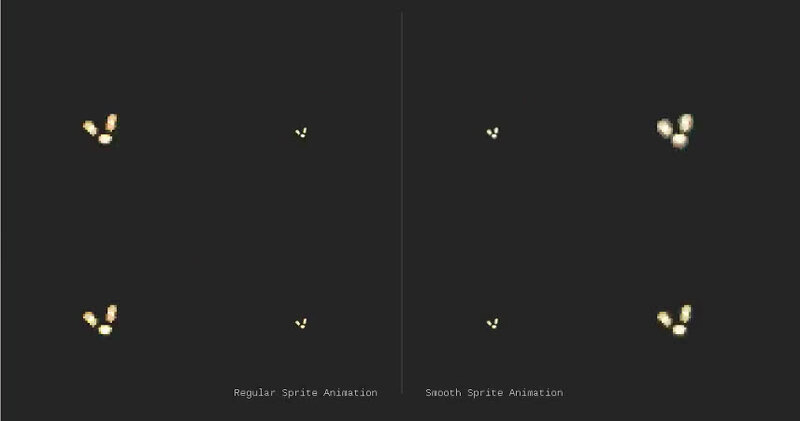 Imagine you're slicing the window area from top left to bottom right: While the top right half renders perfectly, the bottom left half stutters back and forth between several frames, making the overall appearance unusable as well. I was able to fix this by opening driver settings and setting "Threaded Optimization" from Auto to Disabled. Interestingly, my desktop machine has it set to Auto and has no problems with Duality, but since they have different driver versions and different NVidia GPUs that kind of makes sense. The overall Google search revealed that these kinds of problems appear to be more common with OpenGL than DirectX, as usual. I have a lot of hope for Vulkan though, but it's a bit too early to seriously consider writing a Vulkan backend. Anyway! In order to get the Intel fix to work, I've added a new check to the OpenGL backend that verifies the offered and requested MSAA sample count is actually available before switching on Alpha-to-Coverage masking. It should be free of side effects, but just in case someone experiences issues with DrawTechnique.Mask after the update, ping me. Working on clearing up GitHub project structure. This will not affect regular users, but everyone who builds Duality from source. 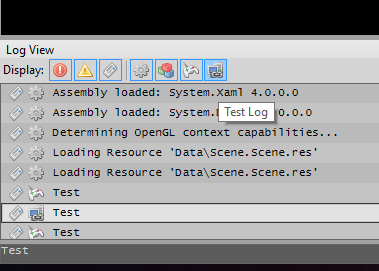 You can preview the current WiP state in the project-structure-wip branch. Long-term, I hope that the tidier look and feel of the new structure will make it easier for new users to find things and more appealing to potential contributors. If you have thoughts on the current design, feel free to post them here or directly in the GitHub issue on this. Thanks! The two plugins DynamicLighting and Steering are no longer plugins, but have been converted to sample projects. Instead of getting a compiled binary with limited customization options, their packages now contain their full source code for you to review and modify. Aside from that, I have removed all post-build steps from projects in the Duality source code repository, and replaced them with a shared output directory in the Build/Output folder. This should make it a lot more straightforward to build the Duality core on Linux and Mac, using MonoDevelop or just plain xbuild. But first, more documentation. If there are topics you'd like to see documented with a wiki article, write a posting in the docs request thread! The development of the v3.0 milestone has started this weekend and so far, I'm 34 commits and three closed issues in. This won't be a pace that I'll be able to keep up, but it's a start! Also, really enjoy having a bigger goal towards improvement of Duality as a whole again, which isn't just "more stuff" in some regard. So far, it's been mostly removing obsolete API and functionality, cleaning up the legacy bits of Font resource (and simplifying them internally in the process), and some renaming. The biggest improvement so far happend to the logging system. The big old Log class has been split up into Log, the actual log instance, LogFormat, a static class with all the formatting helpers, and Logs, a static class that manages global log instances. All logs have now been made thread-safe, so you can safely write from whichever amount of threads you like and be sure that your messages will arrive safely at their destination. // If you want to tag your log instance with additional info, define it here. By using a class definition for identifying your custom log, we can solve multiple problems at once: The log info class can provide configuration parameters for the log, we get all the advantages of type safety for our log identifiers and don't have to deal with strings that will fail silently when the identifier changes. If you're trying to access a custom log that doesn't exist, your code will simply not compile. No chance for errors to creep in! Additionally, the static generic getter uses an internal trick to achieve static binding performance, rather than doing a dictionary TryGetValue. There simply is no lookup - the compiler knows exactly where to look for your log instance based on the type. Finally, the API for Logs and VisualLogs has been adjusted to mimic each other, so the learning curve should be a little easier on the two. Super simple, but especially neat for slowmo effects.